Go Purple with a Purpose for Alzheimer’s Disease Awareness Month. 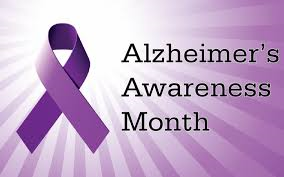 President Ronald Reagan designated November as National Alzheimer’s Disease Awareness Month in 1983. Everyone who has a brain is at risk to develop Alzheimer’s, a disease that is often misunderstood. Warren Mayor Jim Fouts has directed that the front of Warren City Hall be lit up Monday, November 6 from the color purple, which will dawn City Hall from dusk to dawn in solidarity with National Alzheimer’s Awareness Month. Get involved this month, and help raise awareness for Alzheimer’s disease. This entry was posted in Community Development, Cost Savings Initiatives, James Fouts, Safety Initiatives. Bookmark the permalink.